What better place to learn how to laugh at life . . . than at home! You’ll find more material for snickers and giggles behind your front door than anywhere else in your world. 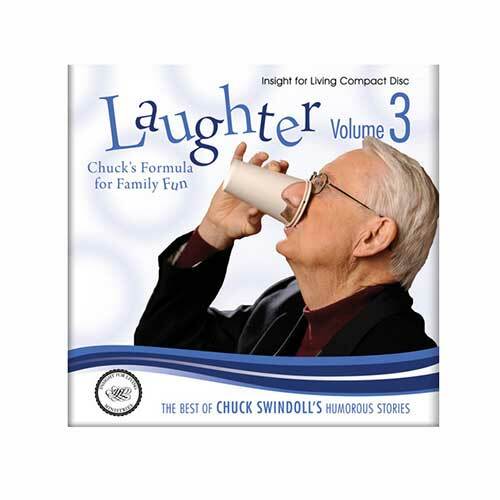 Catch the contagious joy-bug from Chuck Swindoll as he delights and reflects on family life in his fun illustrations and stories, based mostly on his own family life that spans generations. You’ll most certainly identify with his winsome wisdom and will laugh out loud right along with him. Copyright © 1979 - 2010, ℗ 2011 by Charles R. Swindoll, Inc. All rights are reserved worldwide.